This product is only available on the Apple Store. For product support please use the contact us page. 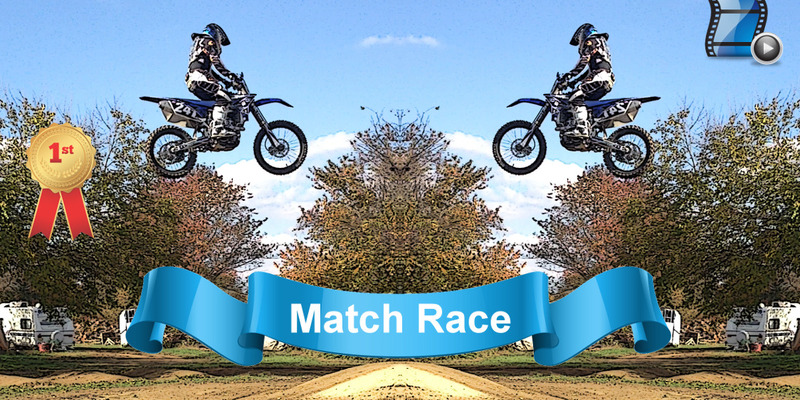 Match Race allows you to race against your competition without actually being in the same race. First record yourself and another competitor from the same location on the track. 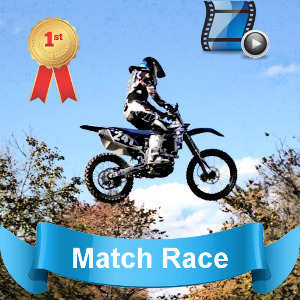 Then load those two videos in Match Race, synchronize the start positions and click race. While both videos play simultaneously you can watch who is winning or just compare techniques. The overall effect is similar to a Split-Screen used during the recording of televised events. 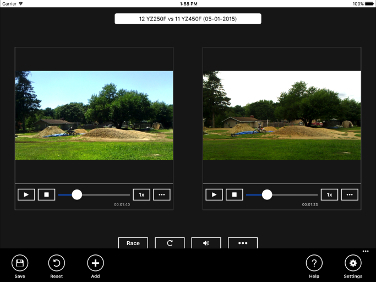 Simulate racing your competition by playing two videos simultaneously. Track your own progress by recording yourself twice and having those two videos race. Evaluate rider technique and machine performance by recording specific sections of the track and having those video clips play side-by-side in Match Race. Saves race configurations for ease of future use. Can be used in all forms of racing (Motocross, BMX, Karting and more). 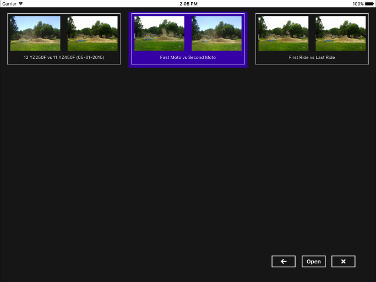 This screenshot shows the Quickstart tutorial. 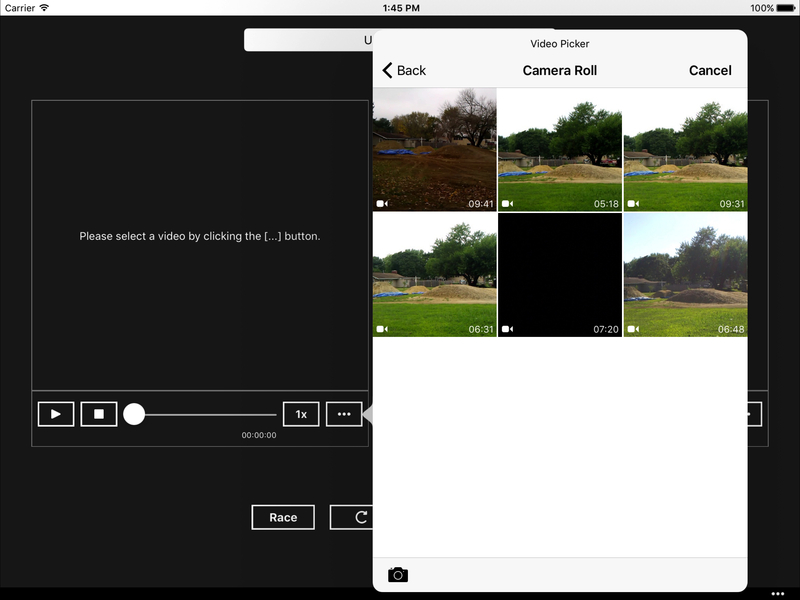 On this screen you can pick a video from your videos library to use for a race entry. In this view of the main screen you can name the race configuration, select videos to race, synchronize the video start positions and then race. The App Bar is located at the bottom of the screen. It becomes visible by tapping on the bottom portion of the screen. 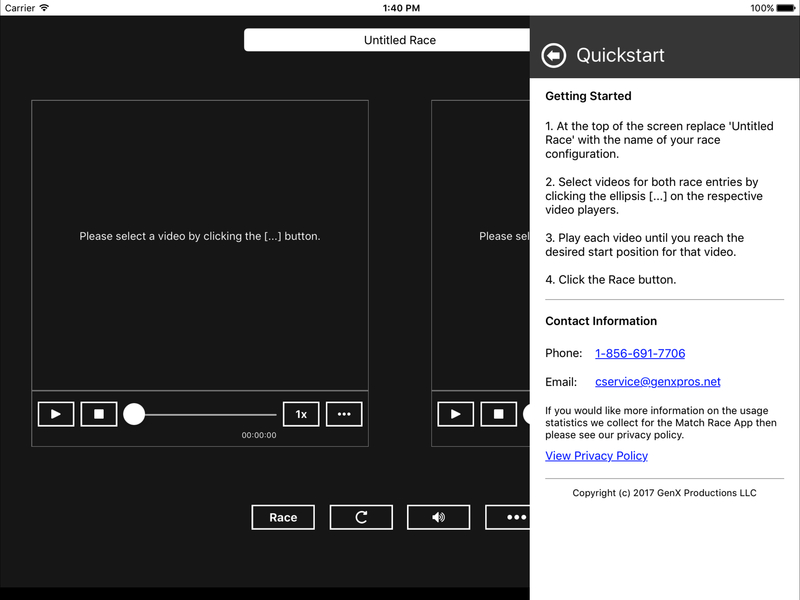 Once visible you can save the current race configuration, reset the start positions of the videos and add a new race configuration. 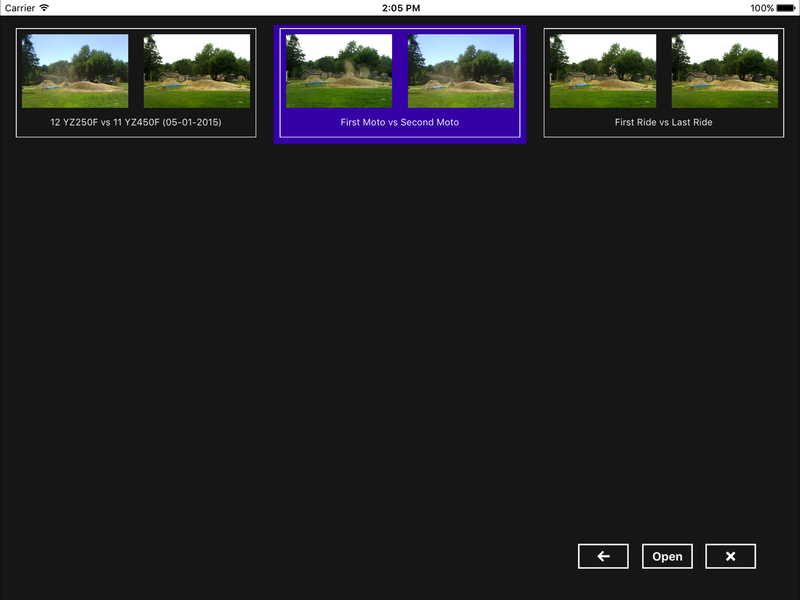 On this screen you can select or delete previously saved race configurations. This product is currently not for sale on this website.